I admit that I am no juggler. Walking and talking at the same time is challenging enough for me. 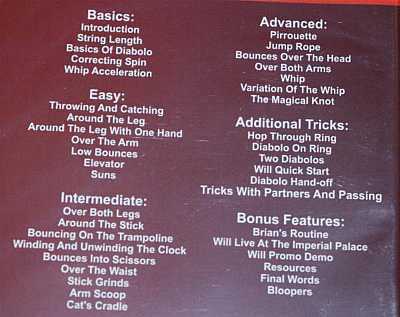 So I cannot attest to doing all the Diabolo tricks that are taught on this DVD, but I am sure that those interested in juggling and the real work on the Diabolo will find this DVD enlightening. And at under $3, how can you lose?